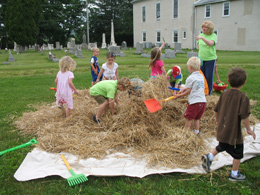 Windsor Christian Preschool runs a two-week Summer Camp offered to any preschool child in the Chester County community. Themed weeks with outdoor activities supplements our preschool program. We are pleased to offer summer camp again this year for 3-5 year olds! Camp will be held on May 29-June 1 and/or June 5-8 from 9:00-12:00. Your child is welcome to attend one or both weeks depending on availability. In order to attend, your child must turn three years old on or before March 1, 2018 and must be fully potty trained. The five year old child must not have yet attended kindergarten. 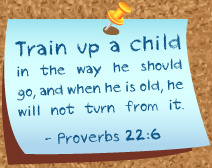 Week one of camp May 29-June 1 takes us way back to “In the beginning….” We will learn about creation as we explore our great big universe, the ground and growing things, birds of the air, reptiles, fish of the sea, and animals. We will end our week with God’s best creation of all…us! Week two, June 5-8 we will move through time as we are “Time Travelers”. We begin our trip as we go way back to Medieval times. Next we travel on to the “Wild, Wild, West”! On Thursday, we take a trip back to the fabulous fifties and end our week moving ahead to the year 2525! Download the 2018 Registration Form!